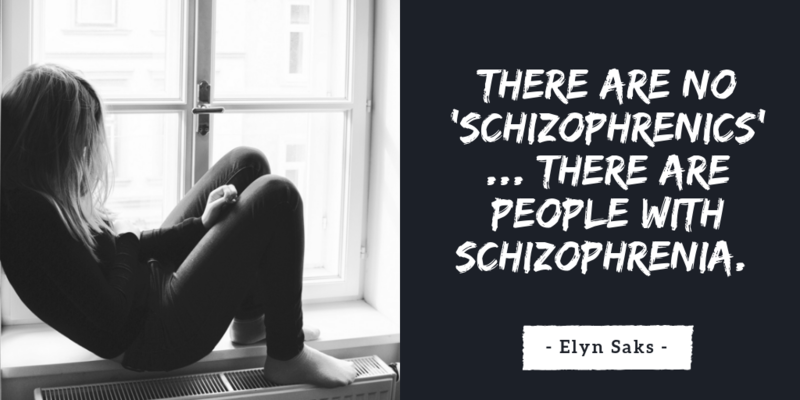 In many ways, being sectioned was a bittersweet experience. On the one hand frightening and overwhelming, but on the other, warm and comforting – forming protection against the outside world. My counsellor had originally admitted me as a voluntary patient to a private psychiatric clinic – the Woodbourne Priory in Birmingham – for stress and depression brought on by the deaths of two people who were extremely close to me, and an intolerable workload as I climbed the corporate ladder. One of those people was my Mother-In-Law, who suffered a lingering, painful death from cancer. Almost immediately, my Father-In-Law was also diagnosed with terminal cancer. I was constantly hoping – and telling people of my wishes – that he could die swiftly and painlessly to avoid the horrific ending his wife had suffered. Completely unexpectedly, he did, about three weeks into my time in the Priory. Instantly the voices in my head told me I was to blame for his death. The voices were explicit as to how I must “atone for my sin.” I had to slash my right cheek from the side of my eye to my chin, and then slash both my wrists. But I also had to take someone with me, and I must start selecting a fellow patient. My last memory for about a fortnight, was running from the Priory and finding a hairdressing salon on the road into Birmingham, where I demanded a pair of scissors to fulfil what the voices were instructing me. Apparently – although I have no recollection of this; it’s all what I was told afterwards – the police had already been alerted to the fact that I’d been seen running down the drive, and when the hairdresser called them they were on the scene in minutes, taking me back to the clinic. I was duly sectioned for 28 days. But because of the severity of my condition and my increasingly bizarre behaviour, I was also “specialed,” meaning that a nurse was assigned to never be more than a few feet from me, round the clock. It was two weeks before the fog started to lift. To this day I have no memory of those first 14 days or so. I demanded to be taken home immediately, and the doctors had to explain again about me being sectioned and what it meant, as I could not remember having been told. The fact that I was a prisoner sank in quickly. Actually, worse than a prisoner. Prisoners have rights. My rights had apparently been stripped from me. 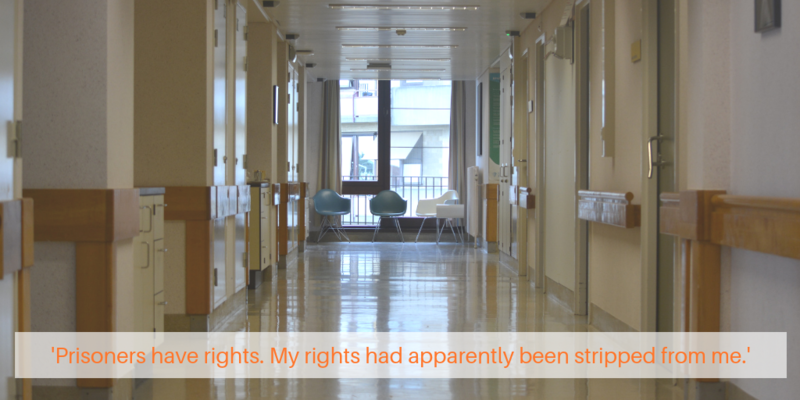 I was detained against my will, and forcibly drugged with lithium – so powerful that blood tests were taken every couple of days to ensure it wasn’t harming me physically. Going to the toilet and taking a bath had to be done in full view of my “special” nurse, sometimes male, sometimes female. The voices were still there, but the lithium was dulling them. However, I was constantly asking the nurse to get me a pair of scissors, explaining that the only way I could be redeemed was to obey them. I attempted to escape several times, the most successful being when I persuaded a hapless bank nurse to accompany into the grounds. Even though I was in my pyjamas and barefoot, I was able to outrun her. But it wasn’t long before the police returned me to the Priory, this time in handcuffs, as if I were a criminal. Daily sessions were held with a senior psychiatrist, and gradually the voices were held in check. I will always remember another patient saying I was returning to the real world. During this second half of my enforced incarceration I began to accept what was happening to me, and indeed, to welcome it. No longer was I rebelling against my jailors (and, make no mistake, that is how I had viewed them), instead, I metaphorically embraced them with open arms. Locked away inside the Priory I was warm, snug and safe from the outside world. They were giving me weapons to fight the voices, the armoury to overthrow the waves of bad, negative thoughts that had been invading my mind for so long. No longer did I wake up every morning and immediately curl up in a ball, cursing the fact that I was alive. I woke up looking forward to what the day would bring and taking another small, tottering step towards getting my life back. And all this was due to the fact that I had been sectioned. The section ended after 28 days, but I remained specialed for a further fortnight. In total, I was in the clinic for around ten weeks. Apart from one minor relapse, the coping strategies I learned during that time have been successful, and I am grateful to have been able to rebuild my life with new, stronger, firmer foundations. I can still hear the gentle, soothing music played during the relaxation sessions, still hear the clink of the croquet balls as we played on the front lawn, still relish the comradery of my fellow patients as we struggled together against the same foe. It was a time of my life I will actually cherish forever, as it marked the beginning of the spiritual, caring person I am today. Thank you, Stewart, for sharing such a personal experience with us. You should be very proud of the man that you are today, you have turned your life around and have become an inspiration to many. 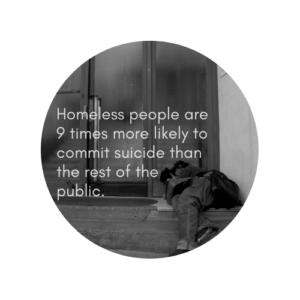 This is a very sensitive, yet important topic. I have to issue a trigger warning for self-harm and suicide. If you are struggling with self-harm, suicidal thoughts or attempts, please speak to a GP or mental health professional immediately. If you feel you are in immediate danger, call 999. National Self Harm Network Forums – A place where you can ask for and receive help and support in regards to mental health and self-harm. According to The National Health Service, self-harm is when someone intentionally damages or injures their body, usually as a way of coping with or expressing overwhelming emotional distress. 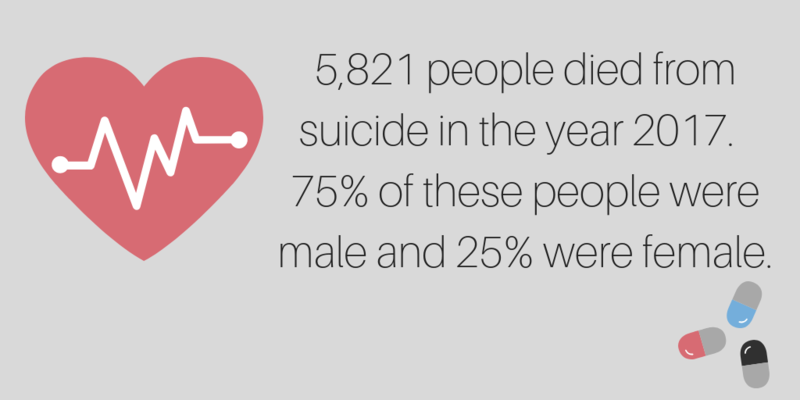 Over 50% of those who lose their life to suicide have a history of self-harm. There are other people whose intentions may simply be to punish themselves or express their distress and relieve tension. People tend to try and keep their self-harm a secret due to shame, fear and guilt. They may cover themselves up all year round to hide self-harm markings and will often avoid talking about the problem. It is often up to friends and family to notice when a loved one is harming themselves. It is important in this case that they approach the matter with care and understanding. Keeping themselves covered at all times, even in warm/hot weather. Signs of depression – low mood, tearfulness, lack of motivation and/or interest in anything. Self-loathing and showing a wish to punish themselves. Saying that they do not want to go on living anymore. Becoming isolated and withdrawn, not speaking to people. Changes in eating habits, being secretive about any unusual weight loss or gain. 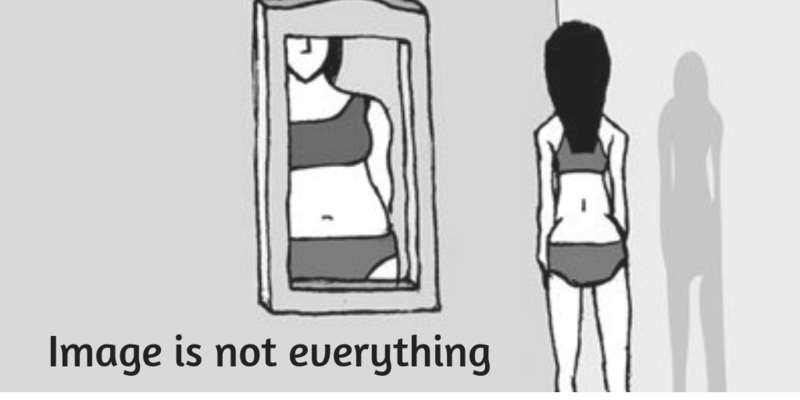 Low self-esteem and blaming themselves for everything and feeling as though they are not good enough. Signs of pulling out their own hair. Signs of misusing alcohol and/or drugs. Spending long periods of time locked in the bathroom or bedroom. Self-harm may not always be physical harm, if an individual is intentionally neglecting their health, by not eating well, not washing or taking general care of themselves, this can also be a form of self-harm or self-punishment. The individual may intentionally look for things that will hurt them emotionally, maybe by reading negative comments about themselves online or provoking people to say negative things about them. It is important to look for these emotional signals too. Some people may self-harm as a way of coping with emotional distress or a way of dealing with life stressors, such as losing a job, going through a divorce, financial issues or losing a loved one. It may be a way for them to punish themselves for what is going on in their life. They may have a lack of coping strategies or skills and have low self-esteem and so they feel as though they deserve to be harmed. Some people may self-harm as a way to feel euphoria. When we cut ourselves or injure ourselves, the body releases endorphins which give us a ‘natural high’ or a sense of euphoria. Some people may self-harm in order to feel this way. Self-harming behaviours can become addictive and habit-forming. It is estimated that around 10% of young people self-harm at some point in their lives. 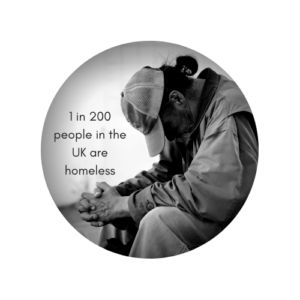 However, this figure could be underestimated as not everyone receives help for their struggles. Suicide is when someone decides to end their own life. 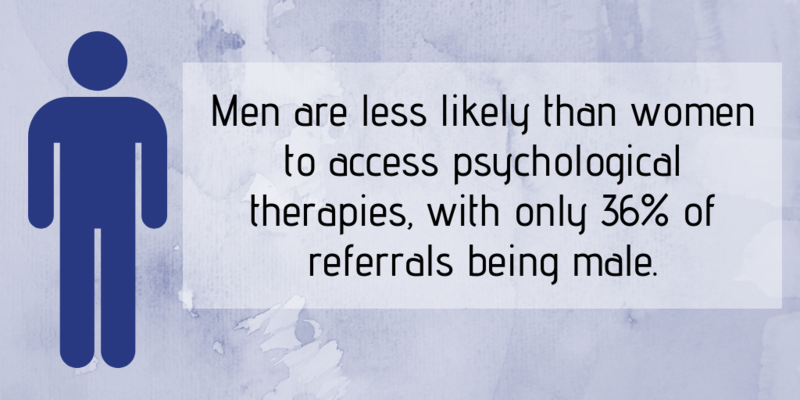 More men than women tend to take their own lives, it is suggested that this could be due to the higher level of stigma surrounding male mental health, resulting in fewer men discussing their feelings with others. If you are concerned for a loved one, reach out to them, ask them how they really feel, show them that you are there for them and that you care. 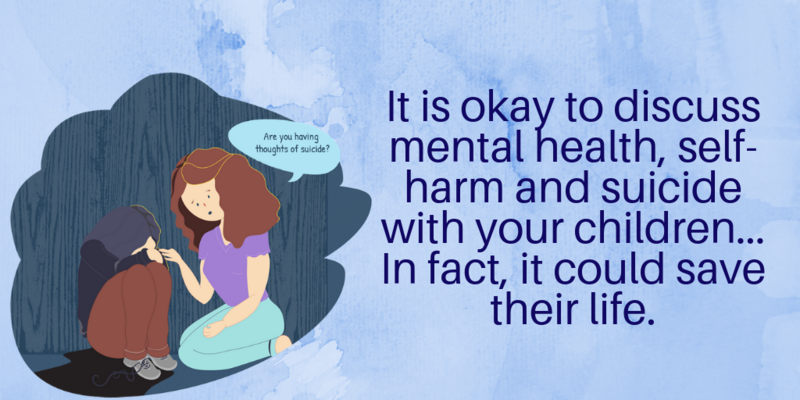 Offer to seek help with them so that they do not have to go through it alone, research mental health conditions that they may be struggling with and increase your understanding. If you are struggling please speak to someone you trust or get in touch with your GP or mental health professionals as soon as possible. Please know that you are not alone, there are people who care about you and who love you and support is available. Aspergers is a form of Autism. As many of you will be aware, Autism is a spectrum condition and each case can be very different in the way that it is presented. 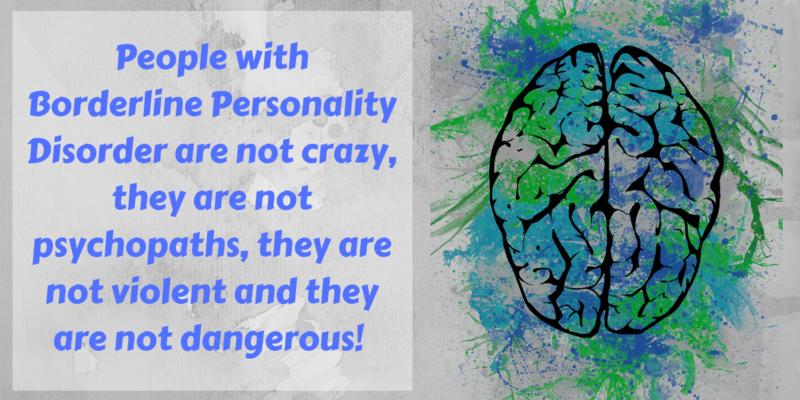 It can be severe or mild, but still important nonetheless! Individuals with Aspergers often have average or above average intelligence. This may not be in any specific area, it could just be in general. 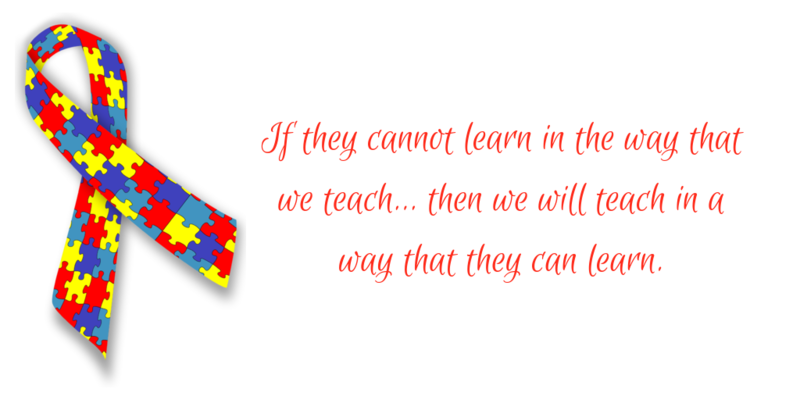 Those with Aspergers do not tend to have learning disabilities like many other autistic individuals, although they may have learning difficulties and so may need extra help and support in the learning environment. Many people with autism struggle with speech, however, those with Aspergers tend to have fewer speech problems, though they may find it difficult to understand and process some language. Aspergers can also make the individual see the world in an overwhelming way, which can contribute to feelings of anxiety and they may feel as though no one understands them. They may also find it hard to use and understand facial expressions, the tone of voice, jokes and sarcasm as well as vagueness and abstract concepts. People with Aspergers are also more likely to be diagnosed with other conditions such as depression, anxiety, ADHD, Tourettes and epilepsy. It is important to remember that no two cases of Aspergers will be exactly the same. It is a spectrum condition and therefore will affect people in different ways. Some people may show mild signs and symptoms whereas others may show more severe symptoms and may need extra help in certain areas. Hans Asperger was a Vienesse child psychologist who published the first definition of Aspergers Syndrome in 1944. He recorded the behaviour patterns of 4 young boys which he referred to as ‘Autistic Psychopathy’ (meaning autism personality disease). 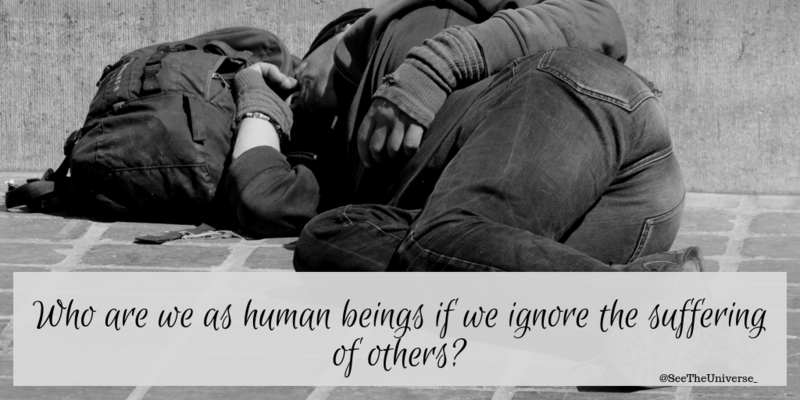 The 4 boys showed a lack of empathy towards others, with little ability to form friendships, one-sided conversations, an intense absorption of a special interest, and clumsy movements. The paper written by Hans Asperger suggests that this research was based only on 4 boys, however, Dr. Günter Krämer from Zurich, who knew Hans Asperger stated that Asperger’s findings were based on more than 400 children. Hans Asperger has been praised as a pioneer in the field of child psychiatry and the understanding of Aspergers Syndrome and the Autistic Spectrum…However, earlier this year findings in regards to Hans have slowly come to light. It was found that Hans Asperger was an active participant in the Nazi Regime, assisting in the ‘Euthanasia Programme’ and supporting the concept of racial hygiene, deeming whether or not children were ‘worthy of life’. It was recently found in previously untouched documents of the state and personal files of Hans, that he frequently referred children to the Am Spiegelgrund clinic, which was known as a drop-off point for children who failed to conform to the Nazi Regimes criteria of being ‘worthy of life’. Over 800 children died in that clinic between the years 1940 and 1945, many of whom were murdered via the Euthanasia Programme. It is unknown whether Hans specifically chose children based on their diagnosis of autism, or whether he selected them in another manner… but he continued to be a child doctor for many years after the collapse of the Nazi Regime. It is currently unknown about what will happen with this information in the future, whether Asperger Syndrome will be renamed… but Asperger charities will be updating all of their information accordingly. Going barefoot almost all the time is not just part of who I am now…it formed a vital aspect of my recovery from severe mental illness. The fact that my bare feet are constantly connected with the ground, drawing in the powerful energy from the earth, is a coping strategy devised when I was released from a psychiatric hospital in 1997. Most exercises involving mental concentration are done barefoot – yoga, martial arts and tai chi. Not that I do any of those, but I’ve discovered over the years that walking barefoot has massive health benefits…both mental and physical. We’ve all heard of reflexology. This involves freeing accumulated energy which, when not allowed to flow naturally, causes many types of diseases and ailments. Going barefoot on all terrains is a natural process of stimulating parts of the sole of the foot which are connected to our organs and other parts of the body. Abandoning shoes in almost all situations stimulates my blood circulation; helps my body eliminate a fair amount of fats and toxins; prevents varicose veins; and improves my posture and balance. Many podiatrists and sections of the medical profession now recognise the enormous health benefits of going barefoot when it comes to fighting sleep disturbance, muscle and joint pain, asthmatic and respiratory conditions, rheumatoid arthritis, hypertension, stress, heart rate variability, and immune system activity and response. But to me, as well as these physical benefits which I believe have kept me young and fit, belying my 62 years, going barefoot has had an enormous impact on my mental and spiritual well-being. When you’re barefoot, whether it be on urban streets or woodland, you become so much more aware of your surroundings. You are one with the terrain, not just a spectator. 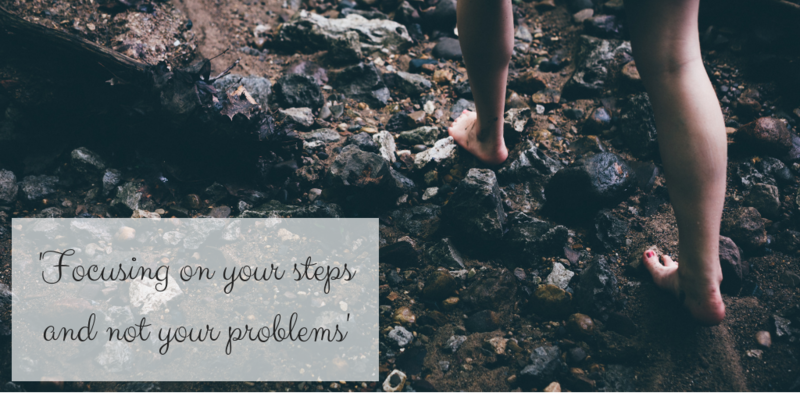 Focusing on your steps and not your problems, clears your mind, putting you at ease, considerably reducing stress and tension. For the last 20 years, I have rarely given myself the option of shoes – and it’s meant that with every step I take my thought process becomes more focused on the path I’m treading. Consciously, I try to steer clear of stones, thorns, glass, and yes…dog poo, too! When that happens, all negative thoughts vanish and I’m able to focus solely on walking. While it works for me, making me much calmer and largely stress-free, I’m not saying being barefoot all the time is right for everyone. You need to find your own way…your own coping strategies. But for me, having bare feet has changed my world.